For hundreds (perhaps thousands) of years, generations of the Heiltsuk Nation - an indigenous group in British Columbia - have passed down the oral histories of where they came from. The Nation claims that its ancestors fled for survival to a coastal area in Canada that never froze during the Ice Age. A new excavation on Triquet Island on British Columbia's Central Coast has now backed up that claim, according to local news outlet CBC. Archaeologist Alisha Gauvreau, a PhD student from the University of Victoria and a scholar with the research institute Hakai, led a team that excavated the site in late 2016. They discovered several artifacts from what appears to be an ancient village, including carved wooden tools and bits of charcoal, in a thin horizontal layer of soil, called paleosol. The team then sent the charcoal flakes to a lab for carbon dating, and found that the pieces date back approximately between 13,613 to 14,086 years ago, thousands of years before Egypt built its pyramids. The artifacts are some of the oldest found in North America. In 1977, Washington State University archaeologists excavated a spear tip and mastodon rib bone (an extinct species related to elephants) near Washington's Olympic Peninsula. After CT scans in 2011, the fossils pushed estimates of the earliest human habitation on the West Coast back by 800 years (to about 13,800 years before present day). 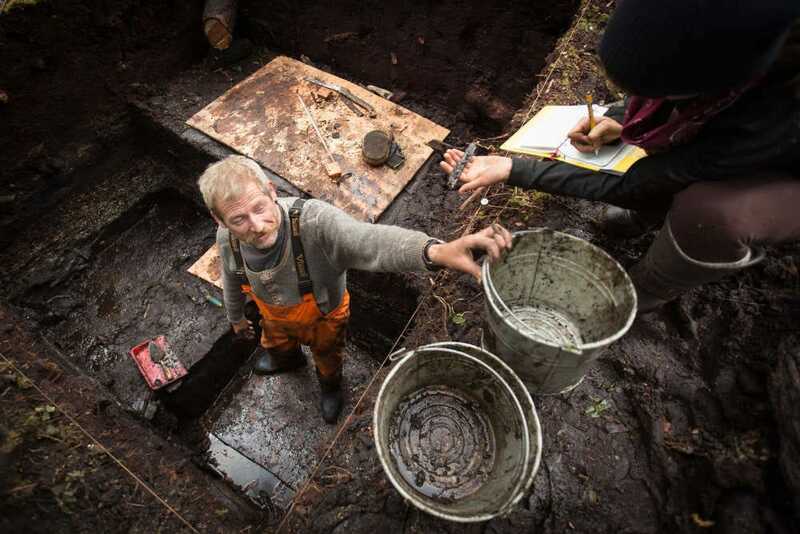 The latest discovery will help archaeologists understand with more detail how more North American civilisations, like the Heiltsuk Nation, began. One popular theory is that the first native North Americans ventured from Asia over an ice-free, Alaskan land bridge to what is now western and central Canada during the Ice Age. Another theory, which the University of Victoria's research supports, is that they were sea mammal hunters and travelled by boat. In a 2016 paper, Gauvreau also notes that other oral histories could be further legitimised through archaeological digs. "This find is very important because it reaffirms a lot of the history that our people have been talking about for thousands of years," William Housty, a member of Heiltsuk Nation, told CBC News.